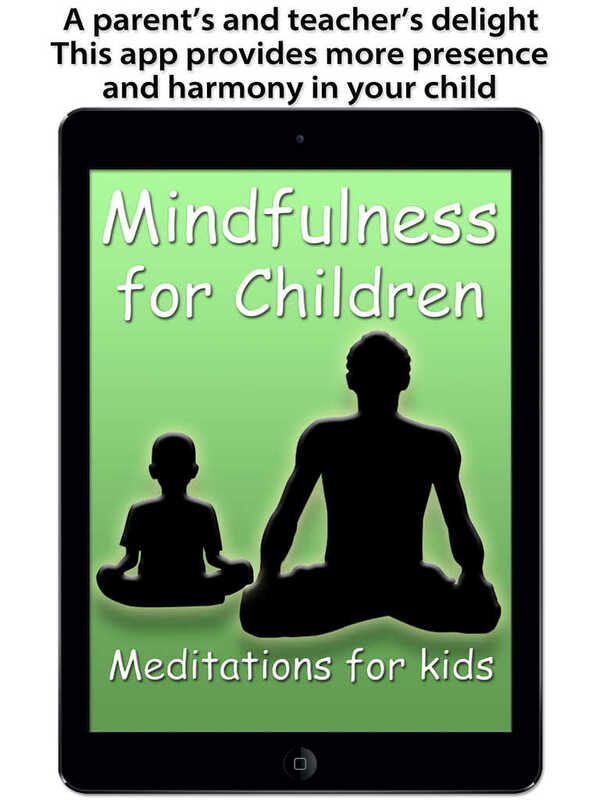 It’s long been said that meditation is a great tool to calm, soothe, and keep children focused and Mindfulness for Children offers a variety of meditations to do just that. 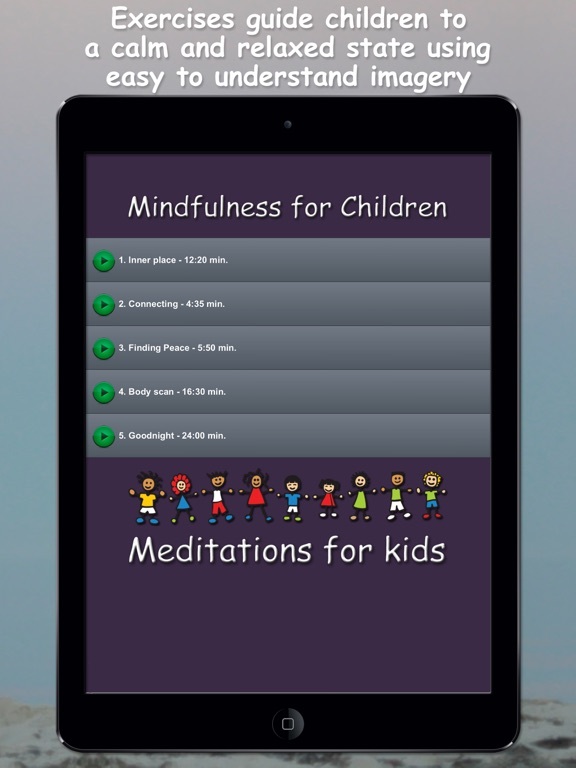 Perfect for use in the classroom or at home, this app offers guided meditation and soothing nature sounds to calm and relax little ones when they need it most. When it comes to quality the most important thing to note for this app is the sound quality. It’s important for meditation and sound tracks to be free of background noise and to provide clarity of sound which Mindfulness for Children does. The voice used in the guided meditations is soothing and the simple bell sounds offer a nice calm feel as well. The nature sounds are also very well done and have a nice clean sound making it easy to listen and relax to. While this app isn’t designed to specifically educate children, it does offer a bit of information for parents as they use it. Each of the guided meditations also comes with a brief paragraph on how to expand on the experience for children. For example, in the connecting meditation, parents are asked to check in with their children and as questions regarding how they feel etc. so they get the most out of the experience. 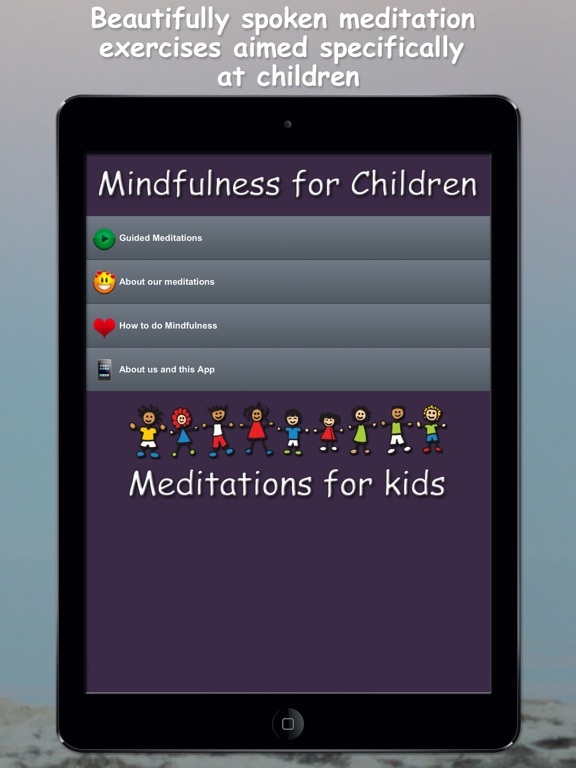 This is a great addition to the app and could even be expanded upon to offer more information for parents and teachers who may choose to use these meditations for their little ones. Priced at just under two dollars this app is a good deal. With five guided meditations and four nature tracks, parents and teachers can both get a lot of use out of this app without breaking the bank. 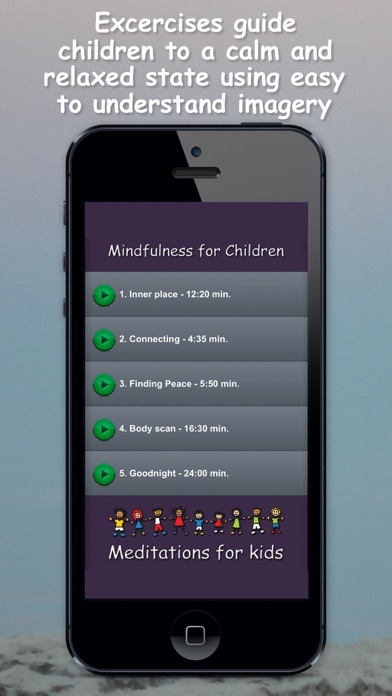 Perfect for quiet time in the classroom or as a relaxation ritual before bed, this app will certainly help little ones calm their bodies, minds, and souls before bed. 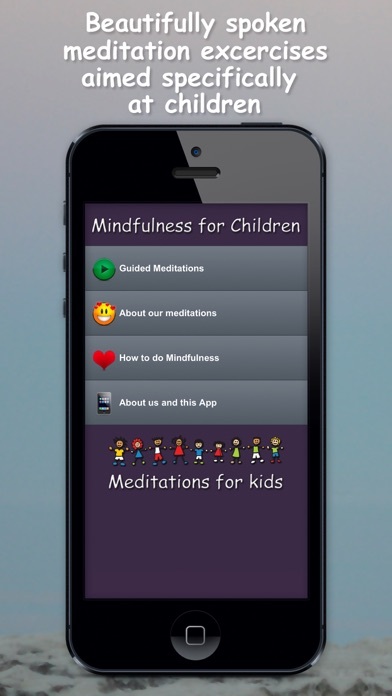 While the content of the app is very good, Mindfulness for Children unfortunately is not an app that children should be playing with. With lots of open links and unprotected social media channels, this app is one that is best used by parents or teachers instead of allowing children to use on their own. It would be nice to allow children to play with the meditations on their own provided the additional open links were protected under a ‘parents only’ section. As it stands now, it isn’t child friendly at all.